By means of telerehabilitation, patients can be released into the home environment after a heart transplant surgery, heart attack or stroke with a shorter cardio rehabilitation stay. The lelemedical training therapy using ergometers monitors the progress at home and makes exercising as a therapy more secure. 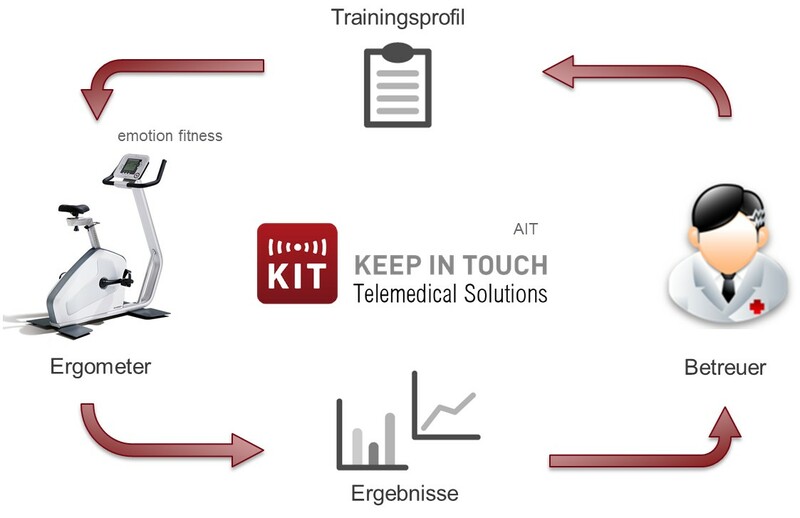 The Telehealth platform enables the supervising physician to create individual training profiles for ergometry training. Data is transferred over the Internet to the patient’s smartphone from which the data is transferred to the ergometer using NFC. After a completed training session, the training results are returned to the platform and can be viewed by the physician. Based on all previous training results, the physician can adapt the training profile accordingly. The control and monitoring of telemedical ergometer training enables the long-term care of patients after cardiac rehabilitation. Regarding the trend towards controlled training, movement can be prescribed as a drug and its “intake” can even be viewed / examined.